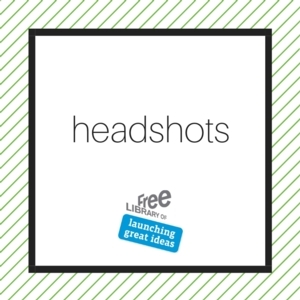 Fri, April 12, 2019 11:00 A.M.
Get a FREE headshot photo taken at the Business Resource and Innovation Center (BRIC)! Headshots are a new service for entrepreneurs, nonprofit professionals, job seekers, and more! Headshots will take place from 11:00 a.m. to 1:00 p.m. (The last person will be taken no later than 12:50 p.m.) Photos will be delivered via email within two weeks. No registration is required; access is on a first-come first-serve basis. PRO TIP: Mirror available to check appearance. Note that our background is gray. Friday, April 12｜11:00 a.m. to 1:00 p.m.